A strong, world-class higher education sector in Nigeria is essential to the development of the next generation of leaders; and contributes to a growing economy, facilitates a just and vibrant social structure, and promotes participation in a stable, lasting democracy. 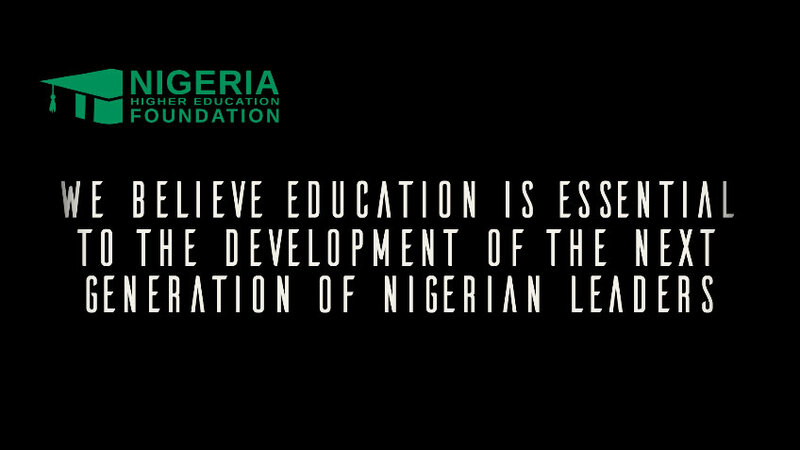 The NHEF is working toward a future in which Nigerian higher education is one of the best in the world – one where Nigerian institutions develop global scholars and leaders of the 21st century that can make a lasting impact in Nigeria and throughout Africa. Therefore, we seek to collaborate with Nigerian universities, and provide local and global resources to develop, sustain, and advance the skills and leadership of young Nigerian scholars. - Assist Nigerian Universities to become self-sustaining by creating a culture of philanthropy within the partner university alumni community and friends of Nigeria living in the Diaspora. - Facilitate fundraising training opportunities and play a leadership role in the development of policies and practices that enhance the fundraising and alumni enrichment capacities of our partner universities. - Identify and develop linkages and strategic partnerships between Nigerian and foreign universities, Foundations, Corporations, government entities and qualified individuals. - Develop and manage two-way exchange programs for students, professionals and faculty between US and Nigeria.